Someone in the Office of Sheriff, in Monroe County, New York, has a good sense of humor. And if you're from the Looney Tunes/Merrie Melodies generation, you will get a good laugh. 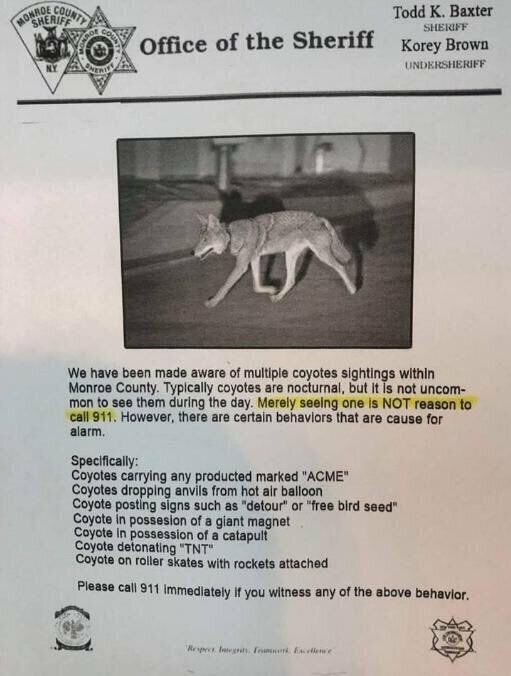 In other news, Warner Bros. just announced that it's developing an animated Wile E.
I see so many urban coyotes this is even funnier to me. Every day for the past several days, our local coyote has come sauntering down the street at about the same time.